I was so busy these weeks so it is noticeably my opening post for the year after January 1. My first two weeks was spent on our out base rotations. The prior was in Panabo City and the latter was in Digos. I had a very great time getting along with my group mates as well as with our CIs. There were two remarkable things transpired throughout those rotations. First is that most of my group mates and I almost had an IR when we were in Panabo because of some misunderstandings. But, providentially, nothing to worry! it was just a false alarm. (tnx GOD!). 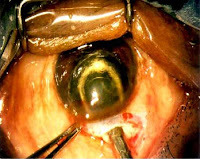 Second is that I got my first case for a major surgery in Digos which is an extra capsular cataract extraction with intraoccular lens implantation . And take note It was not just a case but two cases in one shift. On our 7-11 shift spontaneously I held out all the fatigue, hunger, thirst, and malaise just to have the cases. I had also participated on a cesarean section earlier on that same day. I had witnessed how those epidurals and spinal anesthesia glaringly injected on the mother and how the whole operation and delivery process was. Aside from duties, during our off times I also enjoyed hanging out with the group. We cruise the whole area like a foreigner. Mallings ( malls ba to? ), Bar tours( hala IR), shopping( sa happy face) and my most favorite food trips. I also got pleasure from a simple daily routines being in somebody's company as brushing our teeth together, eating breakfast together, watching TV together, and racing who would iron his/her uniform first,(kimsay nasunog ang uniform?hehe) and who would use the bathroom. It was extremely one of the most fantastic rotations I ever had.